An amazingly hot and sunny day meant the crowds were out. 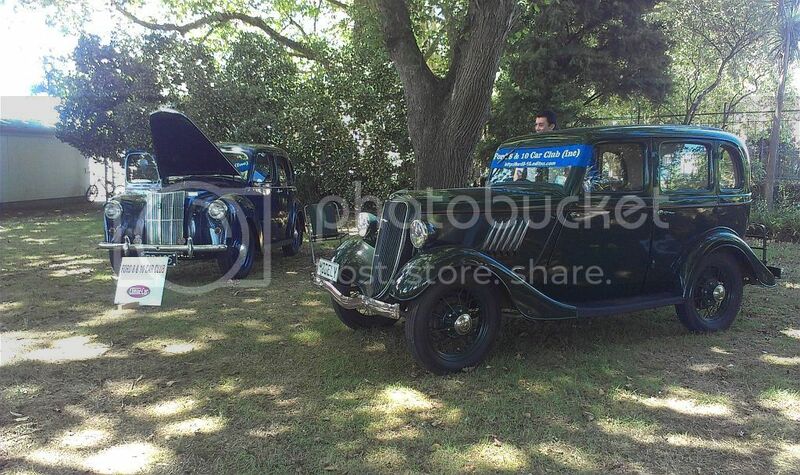 Unfortunately, the same cannot be said for our cars, with only two examples on show - Bud and Thelma's Prefect, and Chris and Jo's Y. 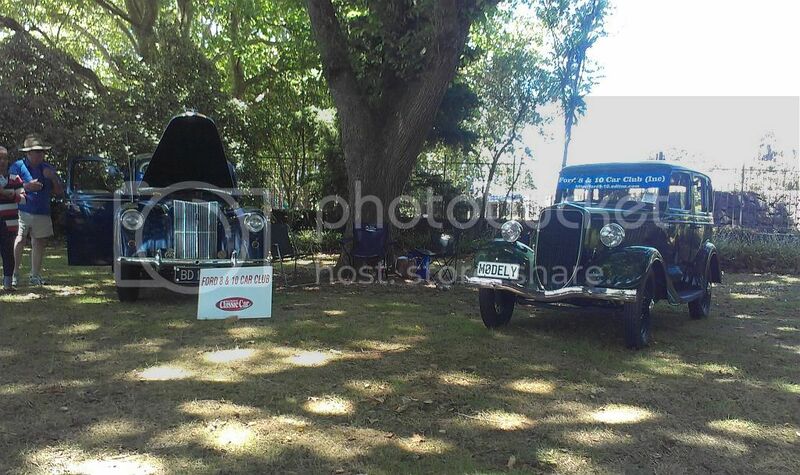 As our usual site has no shelter from the sun, we moved about halfway through the day to a shady spot under the trees. Thanks to the American Muscle Car Club for allowing us to steal some of their space.